There are 23 Assisted Living Facilities in the Taneytown area, with 3 in Taneytown and 20 nearby. The average cost of assisted living in Taneytown is $3,722 per month. This is higher than the national median of $3,346. To help you with your search, browse the 41 reviews below for assisted living facilities in Taneytown. On average, consumers rate assisted living in Taneytown 3.6 out of 5 stars. Better rated regions include Westminster with an average rating of 4.1 out of 5 stars. Caring.com has helped thousands of families find high-quality senior care. To speak with one of our Family Advisors about assisted living options and costs in Taneytown, call (855) 863-8283.
Review of Country Companions Assisted Living, Inc.
Taneytown is known as the “Small Town with a Big Heart” and was founded in 1754. Seniors in this area can visit historic sites and museums featuring the city's rich history — as well as 18 Assisted Living Facilities (ALFs). 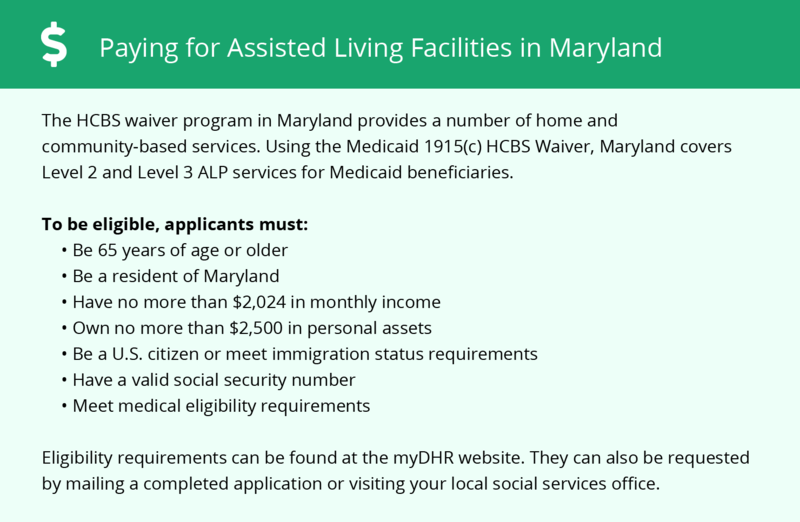 ALFs in Maryland provide residential services to seniors including dining services and assistance with activities of daily living such as personal care and medication management. These facilities are governed by the Maryland Department of Health’s Assisted Living Unit which ensures the safety and well-being of ALF residents. Seniors in Taneytown enjoy a low rate of crime compared to the national average. Violent crime is at 28.4 out of 100 (1 being safest) compared to the U. S. 31.1 average. Property crime is also low with a score of 25.2 versus the 38.1 average for the nation. Taneytown has a fairly average climate compared to the rest of the country. This area receives an average snowfall of 27 inches a year and experiences average January lows of 22 degrees, which may be too cold for some seniors. Summers are mild with an average high of 86 degrees in July. The Taneytown area is home to world-class medical facilities, including Frederick Maryland Hospital, in the event of medical emergencies or illness. The Carroll Transit System provides a way for seniors to get around town to run errands and go to appointments. All vehicles are wheelchair accessible and demand response services are available as well. Seniors can visit the Taneytown Heritage and Museum to experience exhibits of the town’s history. Outdoorsy seniors can explore the outdoors at the Catoctin Mountain Park. The park’s Spicebush Trail is a quarter-mile wheelchair accessible trail for those with limited mobility. The American Lung Association gave an Ozone rating of C to Carroll County. While this area’s air quality isn’t too bad, seniors with a severe respiratory illness should consider how this could affect them. Assisted Living costs in Taneytown start around $3,722 per month on average, while the nationwide average cost of assisted living is $4,000 per month, according to the latest figures from Genworth’s Cost of Care Survey. It’s important to note that assisted living rates in Taneytown and the surrounding suburbs can vary widely based on factors such as location, the level of care needed, apartment size and the types of amenities offered at each community. 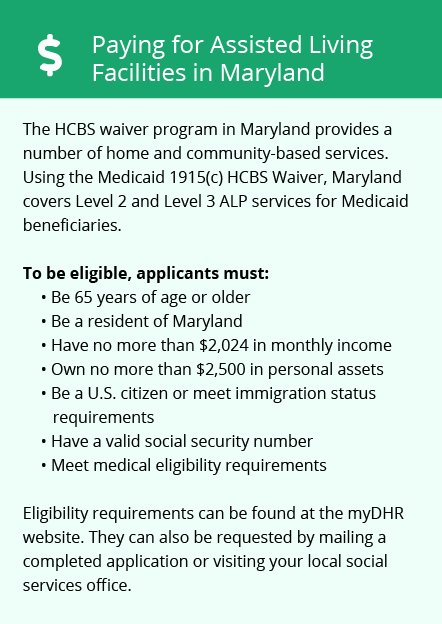 Maryland’s Medicaid program, Medical Assistance, provides financial aid to qualified low-income seniors for assisted living through the Community Options Waiver. Seniors who aren't Medicaid-eligible can apply for the Assisted Living Subsidy program which helps cover the costs of assisted living. Taneytown and the surrounding area are home to numerous government agencies and non-profit organizations offering help for seniors searching for or currently residing in an assisted living community. These organizations can also provide assistance in a number of other eldercare services such as geriatric care management, elder law advice, estate planning, finding home care and health and wellness programs. To see a list of free assisted living resources in Taneytown, please visit our Assisted Living in Maryland page. Taneytown-area assisted living communities must adhere to the comprehensive set of state laws and regulations that all assisted living communities in Maryland are required to follow. Visit our Assisted Living in Maryland page for more information about these laws.